Cinéman Films Inc is a nationally chartered Canadian film production company with head office in Toronto Canada. Carl Laudan (director, producer, editor) and Katherine Schlemmer (writer, director) are a filmmaking duo who met by accident in a Montreal Bar on Halloween. 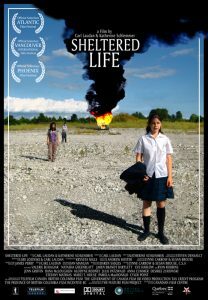 Our films have played on , Superchannel (Canada), at various film festivals around the World. We started by making the short films “The Big Thing“, and “Man Depot” which garnered awards and a Genie Nomination. We’ve made two feature films since then. 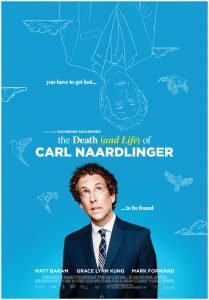 “Sheltered Life” [trailer], and more recently “The death (and life) of Carl Naardlinger” [trailer] [website]. LevelFILM has released ‘Naardlinger’ theatrically and it can now be seen on all major VOD/transactional services (like iTunes) around the World; we’re in production on a feature documentary on foundational physics; developing “The Cat Years” our third feature film; and working on other exciting projects.